More Than Good Manners offers a range of courses (below) on all aspects of manners and etiquette covering various topics. We believe in approaching this fascinating area in a fun , enjoyable and interactive way always focussing on the needs of participants, irrespective if they are individuals, small groups or corporate clients. We also welcome all age groups and nationalities. 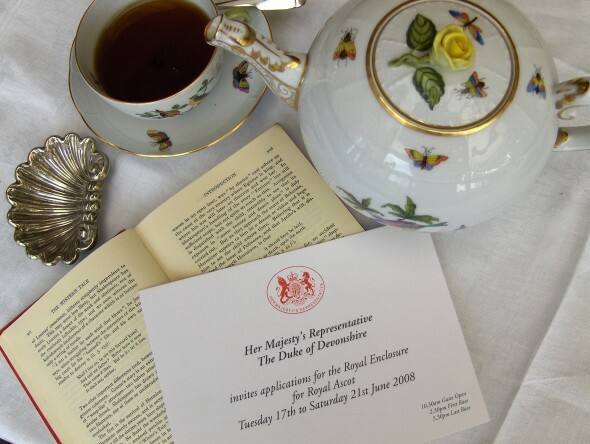 'Taking Tea like a Royal': The history, legacy and etiquette of Afternoon Tea. This will cover the foundation of afternoon tea in The Bloomsbury as well as the royal connection of the Princesses taking tea here. Numbers are very limited for this course, so please contact us as soon as possible in order to book your place. You will also be given a classic Afternoon Tea with one glass of English sparkling wine. What Does Manners and Etiquette Mean ? Manners are not anything to do with whether you are rich, have had a good education or grew up in certain social circles,. Today people are much more likely to define themselves by their work, their interests as well as their background or social status. Learning the basis of good manners can make you feel far more confident in different social circumstances. A basic guideline is to follow the 'less is more principle’ meaning that stiff and rigid manners are of less use in social and business situations while more charm, poise, and natural consideration for other will be of far greater value. More Than Good Manners holds a one day introductory course to manners and etiquette, entitled "The London Lady and English Gentleman". Ideal for all sorts of circumstances, for example meeting and entertaining guests, moving or applying for a job, or college place, or simply to boost self awareness and confidence! We offer one day courses or longer, as clients require, either on a one to one basis or for small groups (ideally up to ten people). We use as our base the Sloane Club in Central London as our main venue although we can run courses at other locations depending on demand. We also provide tailor made manners and etiquette training for a range of businesses and organisations. We can tailor our courses either to focus on developing continual professional development programmes or to provide unique and enjoyable solutions for team building and corporate ' away days'. I had Ms Veronica's lesson of Table Manners & Etiquette and manners for Afternoon Tea. Among a lot of manner schools in England, I wanted to learn traditional English manners from a teacher from the upper classes. Ms Veronica is the one who I was looking for for over 2 years. Finally I met her for the first time, she looks so classy, different from other people. Not only elegant, but she is so friendly as well. I am sure you would find real sense of English aristocrats in her lessons. That is what you cannot feel from other schools, that is 'more than good manners'. More Than Good Manners insider tip - did you know you can combine learning about manners and etiquette with learning English ! More Than Good Manners can tailor a specific programme for learners of all ages and abilities. We work with a selection of TEFL accredited English language teachers. For further information call us on +44 (0) 769 687 599 or email us at veronica@morethangoodmanners.com. Happy learning!